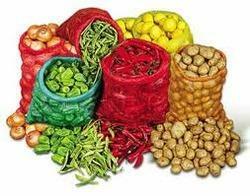 We are engaged in offering optimum quality PP Leno Bags Industry that are offered at most affordable rates in market. Our vendors have designed and developed these bags as per the industry standards by using top grade raw materials and advanced machinery. Our organization was established in the year 1979, since then, we are engaged in manufacturing, exporting and supplying a wide range of Agro Shade Nets. We offer Green Leaf Tea Transport Bags, Troughlon for Withering Trough and Shade Net. All these products are manufactured using high density polyethylene (HDPE) extruded tapes or strips. Also, our professionals make use of German Raschel Warp Knitting Machines. Our products are well known in the market for their Eco-friendliness & durable nature, tear resistance and fine finish. Also, we offer these products in various colors and sizes to meet the specific requirements of our valued clients. Our organization has experienced professionals, who are highly quality conscious which has fetched us good name in the market.We are responsible for checking all the finished products before the final dispatch to make sure that every product offered by us is free from any flaw. Owing to our qualitative range of products and client centric approach, we have been awarded with ISO 9001:2000 certifications.